Learning is an essential part of life. Just because we already earned our degrees does not mean we should stop educating ourselves. In every aspect, most especially in career, training and acquiring new skills can help in the personal development of an employee and increase their productivity, which in turn contributes to the employer’s success. 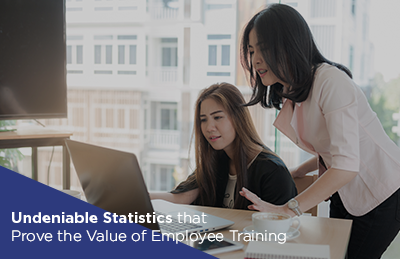 Aside from higher output and profit, training can also lead to increased employee compliance with regulations, and even to a happier and more engaged workforce. These benefits underscore the importance of having routine training programs. Unemployment is a pressing matter that has affected a lot of industries, but another employment problem that needs to be addressed is the skills gap. It’s not about the lack of applicants to hire, but rather the lack of applicants who have the skills your company needs. It’s been found that more than 82% of middle-skill jobs need digital know-how, and around 7 million require coding knowledge. But, not every fresh graduate or job hunter is adept with these, and development programs can help in this case. Furthermore, these training programs can help you source candidates who value growth and education to support their careers organically. Another thing worth noting is that the current workforce appreciates getting a chance to learn something new. A Gallup poll found that 2/3 of non-millennial workers consider development opportunities important in their job, while nine in ten millennials value the same opportunities. However, it is also true that coming up with an effective training program isn’t easy. Problems like unidentified objectives or misalignment of the training plan with business goals may lead to more challenges along the way. Fortunately, there are ways to produce a thoroughly-planned training program that maximises the benefits to both employees and the company. Whether it’s already in the company’s strategic, HR, or individual development plans, or needs to be built from the ground up, your employees’ training needs should first be outlined through an assessment of training needs. Don’t let your training program be just about ticking off boxes. You can avoid this by identifying and analysing gaps in your current plan and the employee skill sets, to come up with the new training objectives. Ask yourself which organisational goals you’re trying to achieve by training your employees. Knowing which aspects to improve on will not only satisfy the employees’ need for development but will also impact your business’s bottom line. Training tools include learning theories, instructional design, materials, delivery methods, and other elements. Aside from these resources, consider the level of training and the employee’s learning styles. You can first gather feedback and make adjustments based on those comments before the company-wide launch of your training plan. Focus on the learning needs of the employees, not on what’s easy for the trainers. Training content and assessments should relate directly to the objectives. Include hands-on practice or simulation. Let employees interact with the trainer, and vice versa. Provide an opportunity for feedback. Break training materials into small portions to make it easy to understand. Integrate storytelling and contextual scenarios. Learning materials should help your employees effectively meet the training objectives. As with any other plan, you should follow a definite schedule when implementing the training program. However, the length will differ depending on the training objectives and methods, like if employees need to learn some tasks within a particular timeframe. An example is multi-part training, which usually takes longer because multiple sessions need to be conducted. Make sure not to schedule the training too far apart that the attendees end up forgetting what they’ve learned, or too close that there’s information overload. Development is a process, but training objectives are time-bound—it should be clear when the workers must satisfy those objectives. Here is when the training program comes to life. Decide whether it will be delivered in-house or externally, including scheduling of training activities and arrangement of resources like facilities and equipment. Before the implementation, however, you must first inform the employees about the training. Give the attendees time so that they can work it into their schedules and not miss any of the sessions. They should also complete any preparation before the training is officially launched, promoted and conducted. Never forget to monitor your training program; you would need to evaluate it. Obtain feedback about the program, the instructors’ effectiveness, and the attendees’ knowledge or skill acquisition. It would allow you to identify any weaknesses in the program so an action plan can be done to revise objectives or expectations that are not being met. Tracking, measuring, and reviewing would also help you update old knowledge so your training program can grow along with the organisation. This means that measurable and reachable goals are better for your training system. When results and progress are recorded and viewed, everyone can understand the program better. You can use Kirkpatrick’s Four Levels of Evaluation in analysing the training program. Employees’ reaction: Did they like it? Employees’ learning: Did they learn from it? Employees’ post-training job behaviour: Are they performing the tasks learned on the job? Quantifiable results: Was the business goal reached? An effective training program is one that is systematic or follows a step-by-step process. It enhances your employees’ competence and allows them to learn hard and soft skills that are needed to manage the workplace smoothly. When you have a well-run training program, you attract and retain skilled workers that will help your business thrive, as well as achieve your ROI. 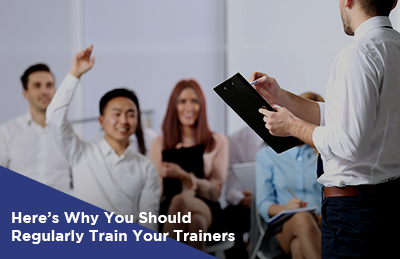 Your employees should also understand what training and development mean to them. In addition, you can employ the services of firms like Guthrie-Jensen Consultants to plan and do the training for your employees. 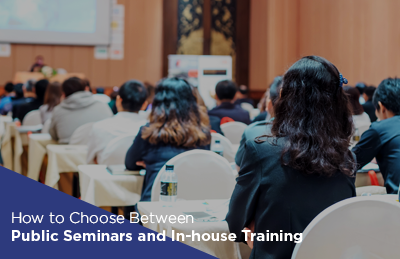 Guthrie-Jensen Consultants offer both in-house training and public seminars for teams big or small, so you can help your employees realise their true potential.